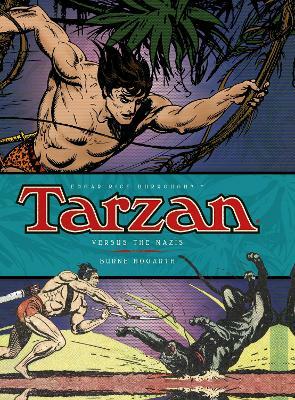 Collecting the unparalleled works of Burne Hogarth on one of the most influential comic strips of all time, Tarzan and The Lost Tribes is the penultimate entry in Tarzan: The Complete Burne Hogarth Comic Strip Library, authorized by the Edgar Rice Burroughs Estate. Bringing together the strips from 1947-1949 and lavishly reproduced in full colour, this is the most complete collection of Hogarth's highly sought-after Tarzan Sunday strips available. Buy Tarzan and the Lost Tribe by Don Garden from Australia's Online Independent Bookstore, Boomerang Books. Burne Hogarth is one of the two most famous artists ever to tackle the newspaper adventures of Tarzan of the Apes. He is one of the most influential illustrators of the twentieth century, thanks to his unmatched Tarzan strips and his books Dynamic Anatomy and Dynamic Figure Drawing.